It's a small thing. So small, many overlook it's incredible power and what it says about them. 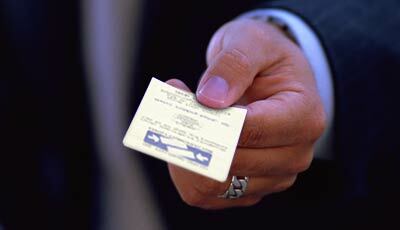 Yet, your business card isn't just a way to quickly convey your contact information! It's a chiropractic marketing tool and surrogate for the quality of care you deliver and creates the first (and maybe last!) impression to a prospective patient. Since chiropractic is an intangible service whose quality and value cannot be accurately judged until the moment of consumption (meeting you and getting adjusted), prospective patients use surrogates to judge the quality of care they're likely to receive. Your business card is just such a surrogate. The look and feel of your card speaks volumes about you. "I'm doing 'old school' chiropractic." "I go for the first right answer." "I don't pay attention to details." "Our office is stuffy and somber." It's not fair, but we all form quick judgments about people we don't know by their appearance. 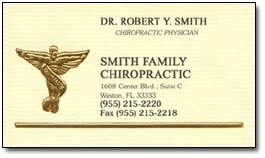 Does your business card accurately reflect the tone of your practice? "Everything I've ever heard about chiropractors, this guy must be it. Apparently he sees no reason to explain anything or even attempt to overcome any wrongheaded ideas I may have about chiropractors." Countless offices spend huge sums for rent in a prestigious office park, seminars, expensive yellow page ads, chiropractor marketing techniques and the like, only to have their efforts undermined by the surrogate they've created: their business card! 1. Get a new look. Find a graphic design company in your area that does this sort of thing. Avoid an hourly charge in favor of a fixed price quote for a business card and letterhead design and final art that you can take to a printer. Be wary if you're quoted a figure of less than US $500 or more than US $2500. Avoid the temptation of designing it yourself! Like the lawyer who hires himself and has a fool for a client, you're not a designer. Because we live in such a visual culture, trust a project this important to a professional. It's okay to show samples of what you like. 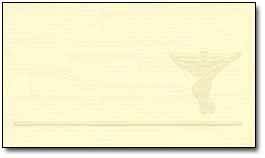 Get some ideas at our Business Card Design Library. Aches and pains are signs that your body isn't working right. Your brain, spinal cord and all your nerves control how your body works. Physical, chemical or emotional stresses produce a defensive posture. Muscles contract, locking spinal joints that pinch or irritate nearby nerves. Nervous system compromise leads to disease and ill health. A thorough examination helps chiropractors find these subluxations. By applying a precise force to stuck spinal joints, proper motion can be restored. In time, the nervous system revives and health returns. That's why chiropractic care can help anyone get well and stay well. Chiropractic works because you are a self-healing, self-regulating organism controlled by your nervous system. Millions of instructions flow from your brain, down the spinal cord, and out to every organ and tissue. Signals sent back to the brain confirm if your body is working right. Improper motion or position of the moving bones of the spine called a "subluxation" can interfere with this vital exchange by irritating nerves and compromising the function of affected organs and tissues. Specific spinal adjustments can help improve mind/body communications. Health often returns with improved nervous system control of the body. There’s more to chiropractic than the relief of headaches and back pain! Our primary focus is the integrity of your nervous system, which controls and regulates every cell and tissue of your body. The moving bones of the spinal column can impair this vital communication link between your brain and your body. We help improve the function and structure of your spine, reducing nervous system compromise. The result? Even non-spinal related health problems can show improvement. Without drugs or surgery. Regardless of age. For over a century. Naturally. It's simple. Spinal damage or injury at any age can misalign bones and shift the head off-center. The result is stress on the nervous system, muscle spasm, postural distortion and spinal decay. Nerves going to all parts of the body can be affected. Correcting the spine can alleviate stress, pain and discomfort, allowing the body to heal and function properly. If you're in pain, sick, suffering or frightened, we can help you. We will always have time for you. To listen. To explain. To offer hope. Please share this with someone you love so they don't have to suffer needlessly. We have created a chiropractic center dedicated to your overall health as a human being. Our purpose is to remove interferences to the expression of your life, and to reveal to those who are interested, the source of true health and the manifestation of their fullest potential. How can chiropractic help you? In addition to pain relief, patients report that they perform better, are less "up-tight" and feel more creative. A frequent comment is, "I just feel more alive." "I believe the human body is designed for perfection. I should give its owner a century of trouble-free performance. Spinal subluxations are a major source of interference, and this practice exists to eliminate them." I free blocked energy in the body and soothe the debilitating effects of stress by balancing the nerve system. I use a wholistic approach to wellness incorporating effective, gentle techniques to meet your individual health needs. Every day, you and I face physical, chemical and emotional stresses. The quality of our lives is based upon how well we adapt, overcome or rise above them. I evaluate, then create an individualized care plan that addresses these issues based on your age, condition, lifestyle and unique health goals. I propose that we go through, rather than around. That we use natural, rather than artificial. That we revitalize, rather than numb. That we release, rather than control. Want to play? Inspired? Here are 175 more ideas that are more generic! As you can see, there's a lot you can do with a business card. You might want to create a different card for every day of the week, with different designs and messages. Bottom line? Create a surrogate that becomes a living testimonial to the creativity, fearlessness, hope and spirit that makes chiropractic so incredible and attractive.